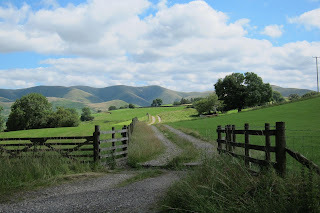 Have I ever thought about a walking holiday, no not really however since having children things have certainly change. I am working in collaboration with Inntravel to bring you some of the best walking holidays in Yorkshire with "guided" foodie visits! Since Inntravel was established in 1984 they have acquired extensive knowledge of the places they offer to along with building solid relationships with the hoteliers which means you will be benefiting from the expert advice prior to your holiday. 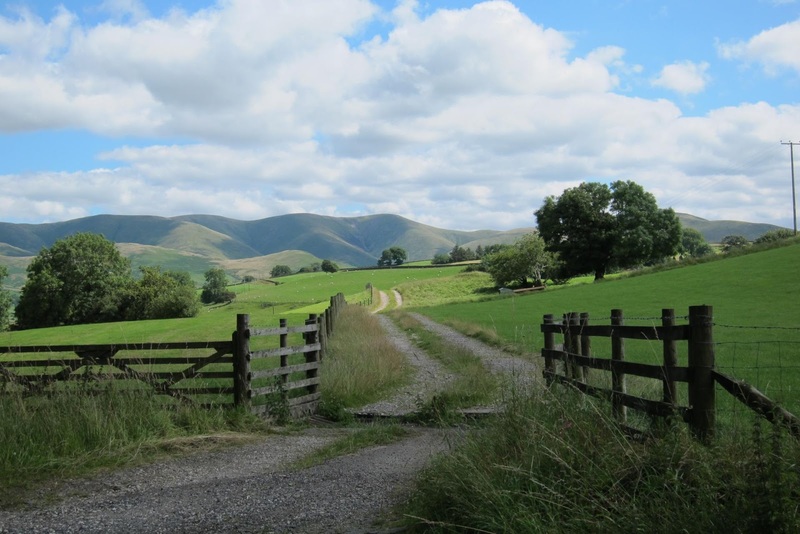 They offer many different types of walking holidays all year round whatever your fitness level is and this even includes self-guided, family trips, non-group walking and village to village trips. Inntravel have won numerous accolades over the years and majority of them are determined by public vote. More recently they were among the finalist in the Top Tour Operator category in the Wonderlust Reader Travel Awards 2018. Another great thing about them is two thirds of their bookings are actually made by those who have travelled with them before or through referrals / recommendations! This campaign I am taking part in focuses on their "Yorkshire Gastronomic Trail" holiday. 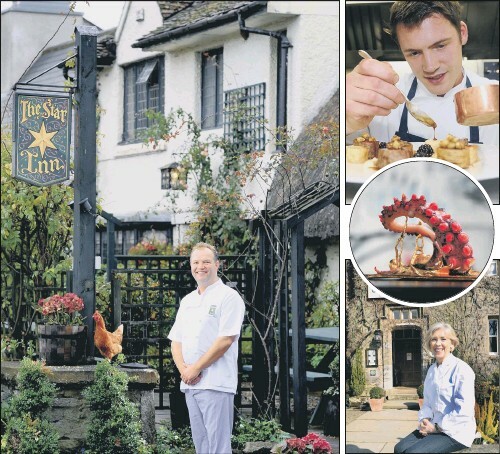 As you know from my Instagram we are a foodie family and we love a beautiful scenery for photos with the little one Inntravel's self guide walking holiday you get to see all the local beautiful scenery and finish off the day dining at Andrew Pern's Michelin starred restaurant The Star Inn. Not only this you can also enjoy the exclusive behind the scenes access to Yorkshire food producers with a local expert. 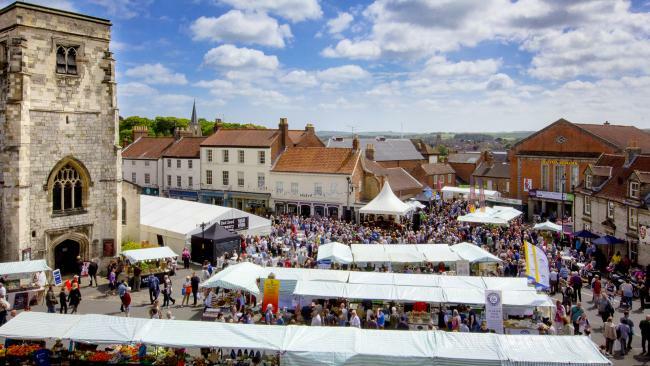 If you are a foodie lover then on the bank holiday weekend 26th / 27th May 2018 there is a huge festival taking place which is set across the streets of Yorkshire's food capital, Malton Food Lovers Festival and this is held to celebrate Yorkshires finest cooking and produce. This year is their 10th year so you can expect it to be pretty good. 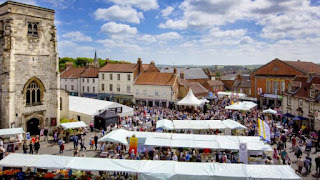 There are plenty of stalls for you to sample / buy delicious street food, celebrity chefs, talks, demos, plenty of music and drinks to keep the whole family entertained. Start the day with a short taxi transfer to the village of Rievaulx and the magnificent ruined Cistercian abbey*. You can take time to visit before striking out along part of the Cleveland Way to Helmsley, a bustling market town complete with a ruined castle* dating from around 1200, a magnificent walled garden, and the seat of the Earls of Feversham, Duncombe Park. It also boasts some excellent independent shops (including a superb delicatessen) and a wealth of tea shops, restaurants and good pubs – including The Black Swan which is said to have played host to William Wordsworth while he was visiting his future wife – making it an ideal lunch stop. From Helmsley, follow a riverside path before a short uphill section to return to your comfortable hotel in Harome. * - English Heritage properties, entry fees apply. Sue and Aidan Nelson of local food experts Yorkshire Food Finder collect you in the morning for the scenic 45-minute drive through the North York Moors National Park, a great chance to hear their take on the area and, of course, its food! Waiting to meet you at the Botton Village Creamery will be artisan cheese-maker Alastair Pearson, who is likely to be making cheese at the time of your exclusive behind-the-scenes visit. Whether it’s the stunning Dale End Cheddar** or one of the excellent continental-style cheeses that he makes with the help of adults with learning difficulties (the creamery is supported by the Camphill Village Trust), you’ll learn about the processes involved – how the milk from the Botton farms is made into cheeses, and how these are looked after during the ageing process before finally being released for sale many months later. Naturally, there is the chance to sample some of the many cheeses (besides cheddar, they make brie, Gouda, Tomme and more, all in high demand across North Yorkshire) and, if you wish to take any home with you, we can arrange for it to be chilled until the end of your break. **At the 2017 World Cheese Awards, Botton Creamery won gold medals for both their Dale End Cheddar and Summerfield cheeses. Returning to Harome just before lunch, you say goodbye to your guides and set off on a scenic self-guided afternoon walk, with a picnic included, to your next hotel. Stop to visit Nunnington Hall and Gardens (a National Trust property), and admire the fine views across the Vale of Pickering to the north and the Howardian Hills Area of Outstanding Natural Beauty to the south as you descend Caulkleys Wood Bank to the tiny village of Stonegrave with its ancient minster. From here, a gentle path leads you to the picturesque village of Hovingham, characterised by stone-built cottages, a babbling stream, a central green and Hovingham Hall – the seat of the Worsley Family and childhood home of the Duchess of Kent. You stay for one night at the traditional Worsley Arms Hotel in the centre of the village. Today you meet up once again with your guides from Yorkshire Food Finder for a full day of gastronomic visits and exclusive behind-the-scenes tours of local food and drink producers. In great contrast to the heather-clad landscapes of the moors, today you are driven south to the rolling hills and dry valleys of the Wolds that have so captivated artist David Hockney. Your destination is the village of Thixendale, home to the Palmers’ family-run Yorkshire Rapeseed Oil, where you are shown how a British alternative to olive oil is made. Chatting to the Palmers, you learn why ‘terroir’ matters and why rapeseed oil is increasingly the first choice for both professional chefs and home cooks. You then get to appreciate for yourself the versatility of the oil and the excellent mayonnaise and dressings made from it during a tutored tasting. If time allows, a short walk leads you to the gallery of acclaimed artist Robert Fuller, where works inspired by the wildlife of Yorkshire and latterly the world are on display. After a delicious picnic lunch, Sue and Aidan drive you just a few miles down the road to Ryedale Vineyards*** for a private tour of the most northerly commercial vineyard in Britain. Here you meet Jon and Michelle Fletcher, who are making the most of the south-facing slopes. Your visit starts with a guided tour of the vineyard, where you can appreciate the picturesque setting and the work that goes on here throughout the year. Next is a tour of the winery to see how the wines are made, and then it’s time for a tasting, led by the Fletchers, of some of the award-winning white, rosé and red wines made at the edge of the Yorkshire Wolds. From here, a short transfer to your final hotel takes you past the beautiful ruins of Kirkham Priory, in a scenic location beside the River Derwent, and through the Castle Howard Estate, known to many as the location for the television and cinema versions of Evelyn Waugh’s Brideshead Revisited. Your final night is at The Talbot Hotel in Malton. 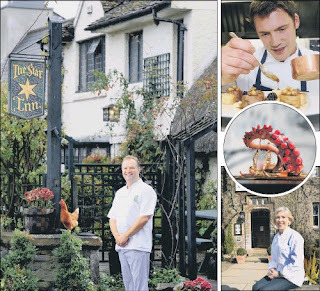 Self-styled as the 'Food Capital of North Yorkshire', this small market town is the perfect place to end your gastronomic journey around this beautiful corner of the country. Inntravel also offer a wide variety of holidays in Europe and beyond from walking, cycling, snow, short breaks, journey in slow motion, family holidays, private guided to Northern lights. I obviously took a particular interest in the family holidays section and sent hubby a few links to look at!